Karachi: In another tragic incident on the field, 18-year-old Zeeshan Mohammed died after being struck in the chest by the cricket ball. 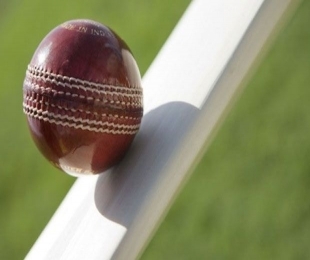 Doctors at the Orangi Town general hospital said that Mohammed died from a heart seizure after he was struck by the cricket ball during a club match in Orangi town on Sunday. "He was brought to the hospital but was pronounced dead on arrival," doctor Samad at the hospital said. "We have been told he was hit in the chest by a fast bowler while batting and collapsed on the pitch," he added. The incident comes few months after Australian batsman, Phil Hughes died in a hospital after being hit on the head by a short pitched ball during a Sheffield Shield match by pacer Sean Abbot. An officer at the local police station said the body had been buried by the parents as there was no case registered and it was an accidental death.